Anna Maria Island and Longboat Key are Barrier Islands along Florida’s central west coast. With breathtaking sugar white sand, emerald water and some of the most incredible sunsets and sunrises in the world, its no wonder this quaint area is generating so much interest. Anna Maria and its 'Old Florida Charm' will sweep you away. Be sure to check the “About the Islands” and “Things To Do” sections for a more complete coverage of the Islands. A recent internet Google search for Anna Maria and Longboat Key rentals and real estate returned an incredible 6 millions hits. In an effort to better assist you in your search of these incredible beach communities, AnnaMariaFloridaRealEstate.com can provide the information you need to locate the home of your dreams. I am an agent with my toes in the local sand and all the knowledge necessary to point you to your ideal new home. The above Anna Maria Island Cam is the Rod & Reel pier located in the City of Anna Maria. It is one of the oldest fishing piers in the United States being built in 1947. It is incredibly popular with hundreds of thousands of visitors each year for it's great fishing, great food and the spectacular view. With over 1,300,000 views of this camera, it has been featured on the Today Show (NBC), Good Morning America (ABC) and the Weather Channel, as well as many other media sources. This Anna Maria Island Cam view received the award for one of Earthcam's 25 Most Interesting Webcams of 2013, and "Best Sunrise or Sunset Picture" contest taken from one of camera's hosted on their website worldwide. By the end of 2014 this camera was rated the twelth highest viewed camera in the Earthcam network worldwide and was a daily feature on Earthcam TV. This webcam is a live streaming HD webcam available to and your family and friends 24 hrs a day and year round. This cam is located on my back deck!! Please visit our Facebook page and "Like" us. There you will find many incredible local pictures I have personally taken. Bookmark this page and never lose it, it’s your guide to paradise!! It’s yours to view and share with your family and friends worldwide. When you leave here you can always come to this site to watch the sunrise or just enjoy the view. When you are ready to buy or sell a home here on the Anna Maria Island or Longboat Key, simply go to our "Contact Us" tab and send me a message. 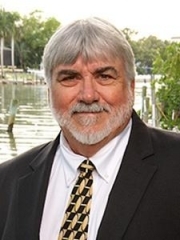 I will provide you with information on homes in our area which includes, Anna Maria, Holmes Beach, Bradenton Beach, Longboat Key, Cortez, Palma Sola, Bradenton, Sarasota, Siesta Key, Palmetto, Lakewood Ranch or Venice.